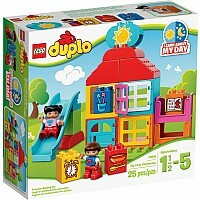 Play and learn at LEGO DUPLO My First Playhouse! 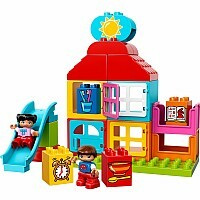 Combine the chunky pieces to build the playhouse as a perfect introduction to basic construction skills. 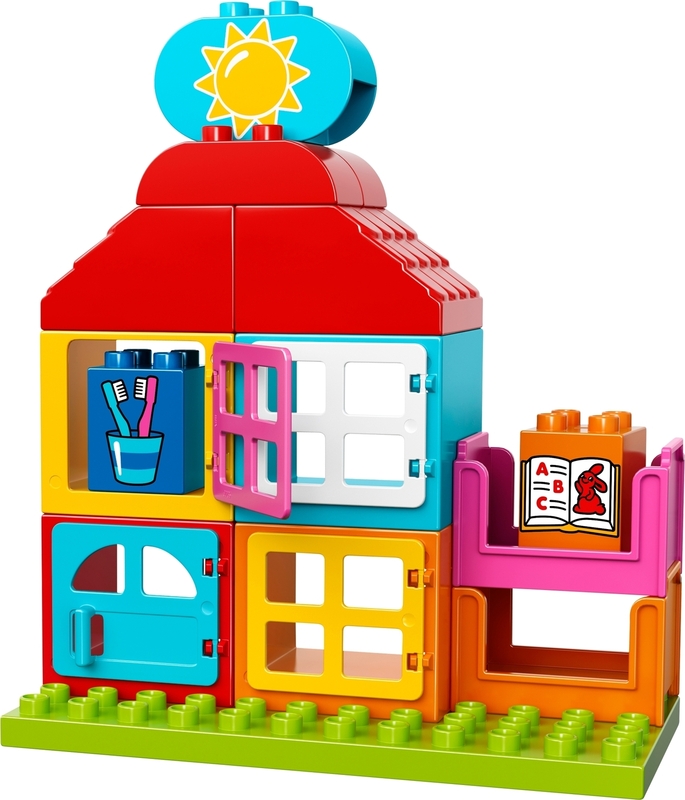 The special decorated bricks showing key parts of the daily routine provide talking points for you and your toddler so you can teach them about their day. 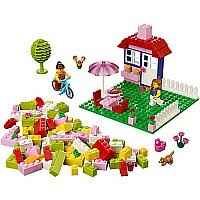 The turnable night/day brick helps set the scene for learning and role play. 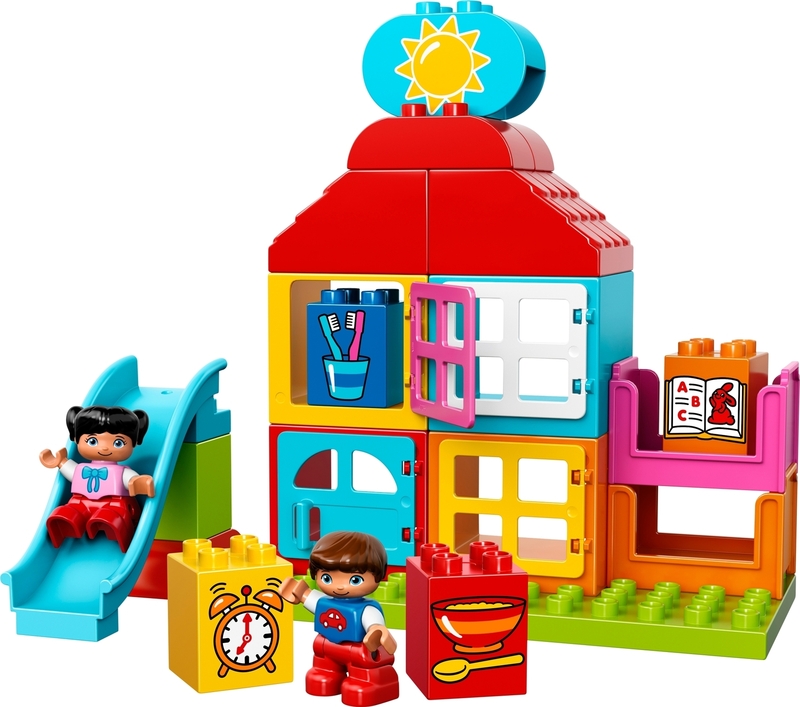 Start your stories with this easy-to-build set and help the 2 LEGO DUPLO figures get up in the morning, eat breakfast, brush their teeth, and have fun on the slide before lying them down in the beds to rest. 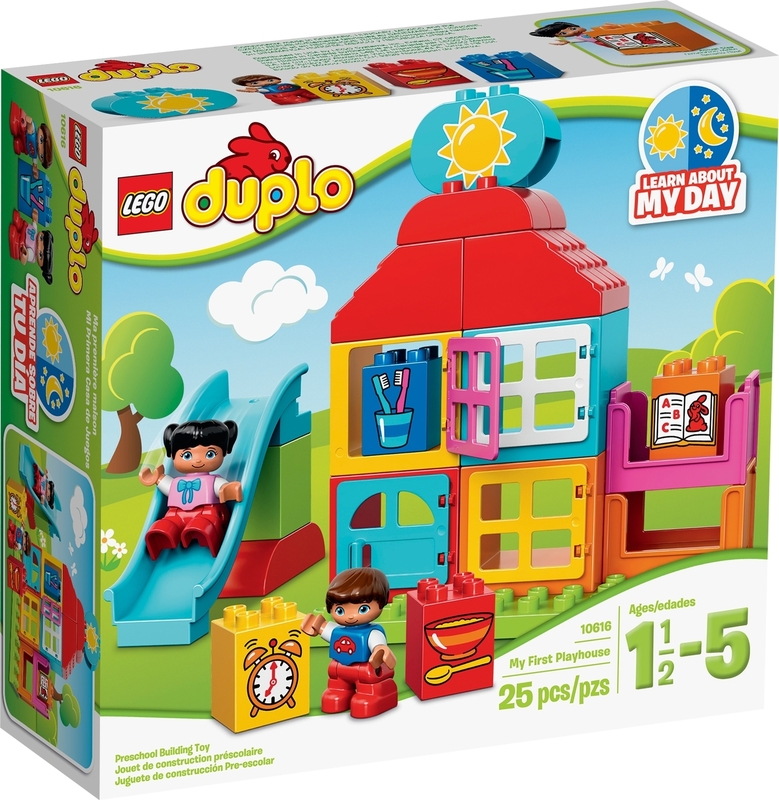 The brightly colored LEGO DUPLO bricks are designed especially to be safe and suitable for little hands. 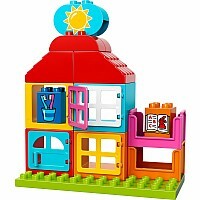 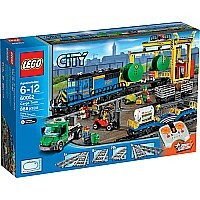 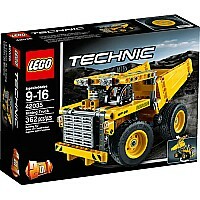 Includes 2 child LEGO DUPLO figures. 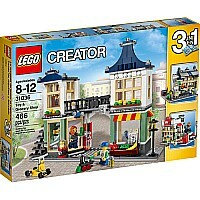 Measures approximately: 11.10 x 10.31 x 3.76 inches..